1 week from today we celebrate the ones who gave us life, who hold the family together, kiss the boo boos, eat your left over food, pick up & drop off everywhere, schedule all appointments, love unconditionally. 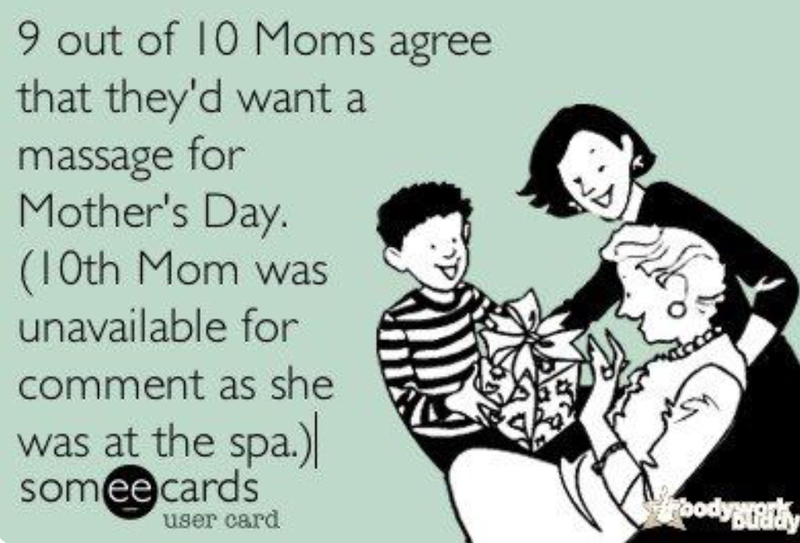 If your mom has done or still does all this and more for you, she deserves the best gift ever… A MASSAGE or a few of them. Gift certificates are available.